I hope that you all are having an awesome day!! Today I've got a new fangled manicure that I foresee being a big trend in the next couple of months! I know, I know it sounds weird but cat litter! It's cheap, easy to use AND if you get the scented kind or odor neutralizing kind you can just wave your hands in front of your face and BAM no stink! Just be sure to keep your hands away from your cat! You don't want them using your hand as a little box! Anya was a wee-bit confused on why her little was on my hand! Don't worry! The litter is CLEAN and Anya didn't use my hand as a little box. 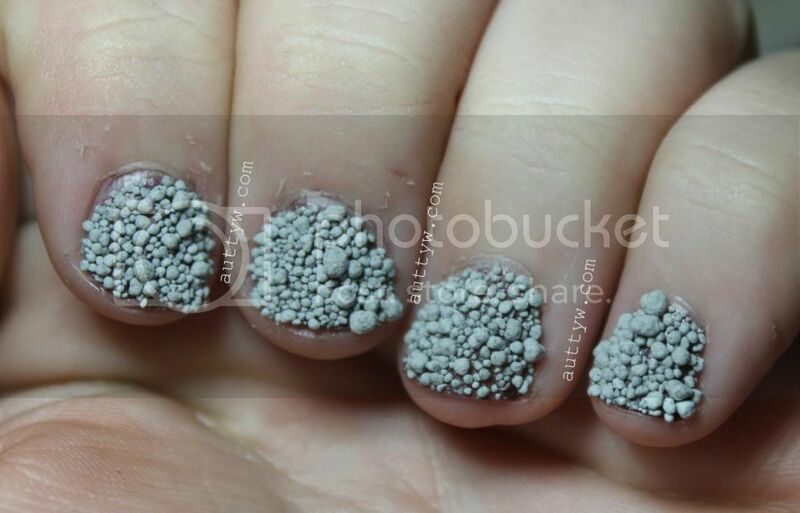 To achieve the cat litter caviar manicure you need to paint your nails either with a clear or colored nail polish. I chose to use Revlon ColorStay in French Roast! Make sure you leave your nails wet when you pour on the little! I just put my hand inside of Anya's big tub of litter and scooped some on and let it fall on my fingers! It adheres itself quickly and the polish itself will dry quickly! 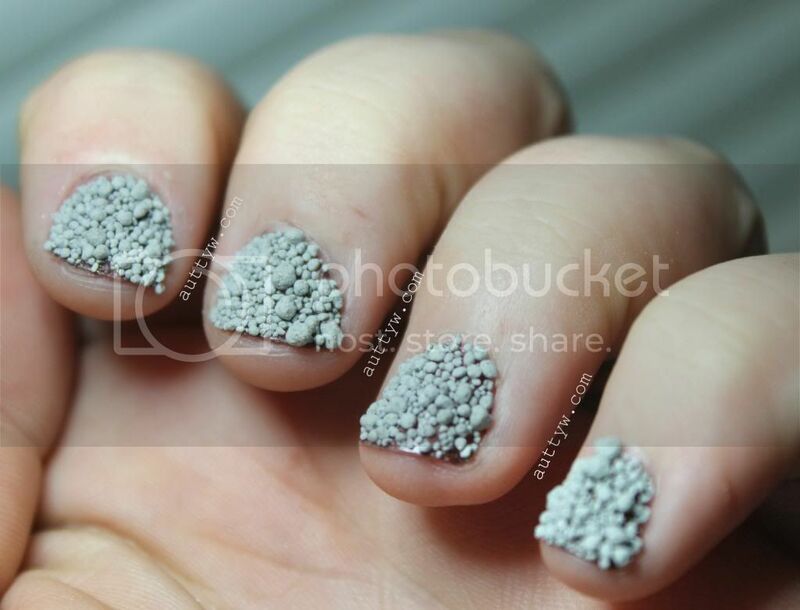 Is a cat litter caviar manicure in your foreseeable future?! Lol this is hilarious! I was like what?! Then eww then omg its April fool's day right! Bahah thanks! Next time I might use rocks! Bahahahahaha! You are so cool. Bahah I don't know about being cool but thank you! I can't wait to see Miss Jen Fabulous do this! I know this is for April Fool's Day, but this really doesn't look half bad! I kinda like it! I'm glad you appreciated that! hahaha omg i love that you did this! 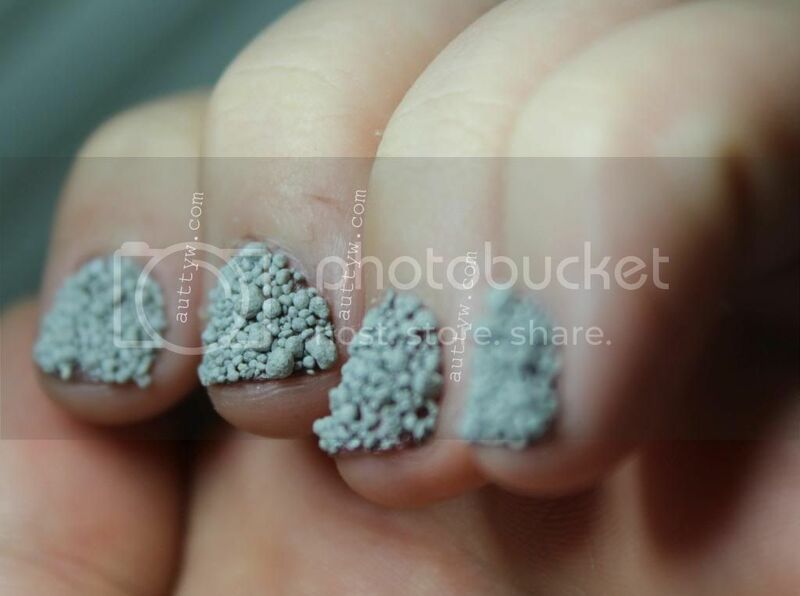 It kind of reminds me of dippin' dots in a weird way LOL. Thank you!